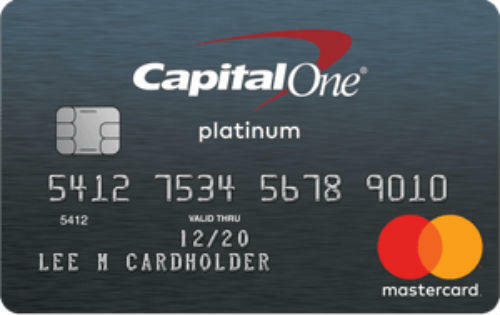 There is no annual fee of Capital One Platinum Card. The card has no foreign transaction fee. If you purchase from abroad very often, you can consider about this card. There is no fee for balance transfer. 3% maximum cash advance fee rate is good. $10 minimum cash advance fee is much. There are no rewards and bonuses and miles. Maximum cash advance fee is $10. All interest rates are very high at this card. All rates are 26.99%. 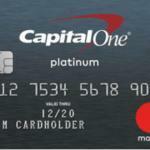 Capital One Platinum Card is a simple card for those who have average credit score. The card fees and all features are almost same with credit builder Capital One Secured Card. We are going to review all features of the card below. If you have any questions regarding this review, please leave a comment this page. 26.99% interest rate is too much for this card. We believe that it is high because the card doesn’t ask for annual fee. However there are much profitable options than this card on other companies at the moment. There are also other good benefits of the card. We are going to mention about those in fees. There is no annual fee for the card and this is a good feature. You are not going to make extra payments for the card every year. This will help you save a little bit. However it is not still very attractive because of high interests. If you are purchasing abroad with other currencies, you are not going to pay extra fees with Capital One Platinum Card. Because there is no foreign transaction fee. Balance transfer fee doesn’t exist for this card. This is also very beneficial for consumers. If you want to have this card for balance transfer, you are not going to pay fees. However you should also consider about 26.99% interest rate. Minimum cash advance fee is high but maximum cash advance fee is very good for Capital One Platinum Card. Minimum fee is $10 and maximum fee is 3%. There are no rewards and bonuses in this card for consumers. This card is not very beneficial for consumers. There are many better opportunities for consumers who have fair credit scores. Balance transfer fee, annual fee and foreign transaction advantages can be considerable though. You can see rates and fees of the card below. You can see user reviews below. You can also review this card if you like/discard Capital One Platinum Card.